Invoices are created based on the payment schedule you used with a quote or an order. The number of invoices, amount due, and due dates of those invoices will depend on the specific rules you're using with your payment schedule. Sometimes, you'll find that you want to change the amount due or when it's due after an order is booked. 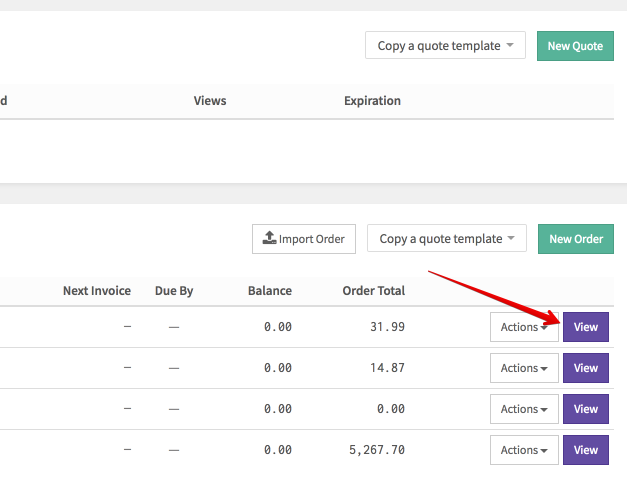 From here, you'll simply use the Edit Invoices button located above the invoices. 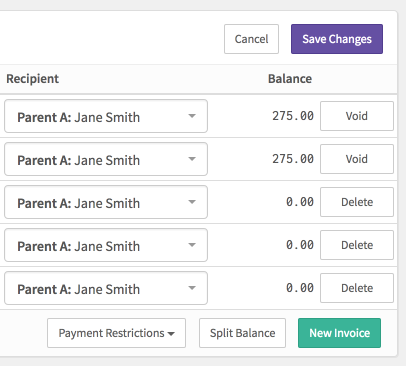 When in edit mode, you can change the amount, due date, recipient, or payment restrictions. You can also add or void issued invoices, or delete drafts right there. Important Note: the total for all of your invoices must match the total for your order. You will be prompted to correct any issues before you can save your changes. To add another invoice, you'll simply click the 'New Invoice' button. A draft invoice line will be created where you'll set the amount due, due date, and recipient. In the example above, my order total is $550, so adding an additional invoice for $100 means I've over-invoiced the order and need to adjust the other invoices to correct the amount. I can do this quickly by using the blue down arrow next to any of the invoices. It will lower the amount of that specific invoice by $100. A quick way to spread out the amount due across all open invoices is by using the Split Balance button. This will evenly distribute the balance. When you're done making changes to your invoices, simply click Save Changes.